AGT: Our fluidized bed performer for efficient granulation drying: round, single-chamber production system for continuous spray granulation of liquids.The system makes drying liquid raw materials possible in an optimally mixed fluidized bed system while simultaneously creating granulate. Gentle handling of temperature-sensitive materials. Direct granulation of highly viscose liquids is also possible. AGT System: Our all-round system for maximum processing flexibility: round production system with exchangeable processing chambers for all fluidized bed, spouted bed and rotor processes. Whether spray granulation of liquids or agglomeration of powders, whether coating and powder laying of particles or encapsulation of liquids – everything is possible. Operation can be done continually or batch-wise. Customized for your process. GF: Our fluidized bed all-rounder for varied process combinations: right-angled, multi-chamber production systems for combining all continuous fluidized bed processes. Whether you need spray granulation or encapsulation of liquids, agglomeration of powders or particle coating – the plug flow through the processing chambers permits processes as well as the subsequent drying and cooling to be combined. Just the way you need it. ProCell: Our spouted bed multi-talented systems for gentle processing: square multi-chambered production system for combining all continuous spouted bed processes while sparing temperature-sensitive substances. 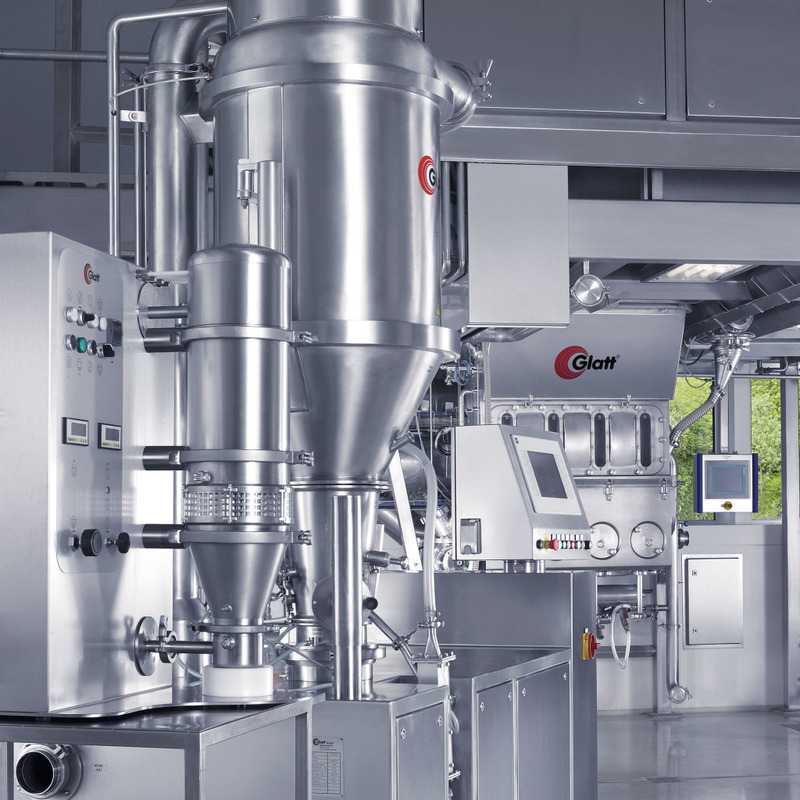 Whether you need spray granulation or encapsulation of fluids, agglomeration for powders or particulate coating – the plug flow through the processing chambers permits processes as well as the subsequent drying and cooling to be combined. ProCell System: Our all-round system for maximum processing flexibility: square, multi-chamber production systems with exchangeable processing chamber for all continuous spouted bed and fluidized bed systems. Whether spray granulate for fluids or agglomeration for powder, whether coating of particulate or encapsulation of fluids – anything is possible. Customized for your process.